(Bitter Winter) — Churches are supposed to be the place where Christians worship God. In central China’s Henan Province, however, the government is forcibly occupying churches in large numbers and turning them into theaters, game rooms, and other types of entertainment venues—all to Christians’ torment. To look at the government-approved Three-Self church in Caowu village, under the jurisdiction of Shangqiu city, it’s but a shadow of its former glory: Where there once was a pulpit, there’s a platform with the words “Cultural Stage” in big, eye-catching characters behind it. 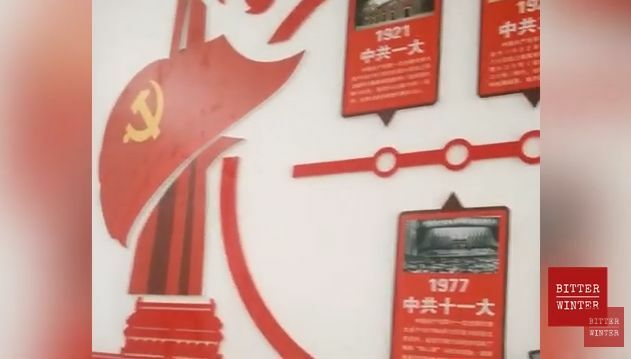 It’s been two months since the Chinese government shut down the church in Caowu village and turned it into an entertainment center that propagates “socialist core values,” at least according to the posters that adorn the walls instead of the cross that was there before it.